Get 6 months to pay $1,050.00 with PayPal Credit! No payments + no interest if paid in full in 6 months. Seeing the sun rise over Machu Picchu after a 26-mile trekking adventure is an absolutely surreal experience. 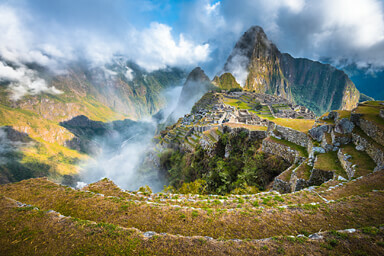 Don't miss your chance to hike the Inca Trail in 2019! Embark on a 7-day Peruvian adventure and immerse yourself in the colorful culture of the Andes. Begin your journey in Cusco, the vibrant capital of the Incas, and witness the fascinating juxtaposition of ancient indigenous culture and colonial Spanish architecture. Sip on coca tea, learn a few words of Quechua, and soak in the incredible history and natural setting of this town nestled high in the mountains. Venture into the Sacred Valley for a trip to the famed Pisac market as well as to Ollantaytambo, the oldest living town in the Americas. 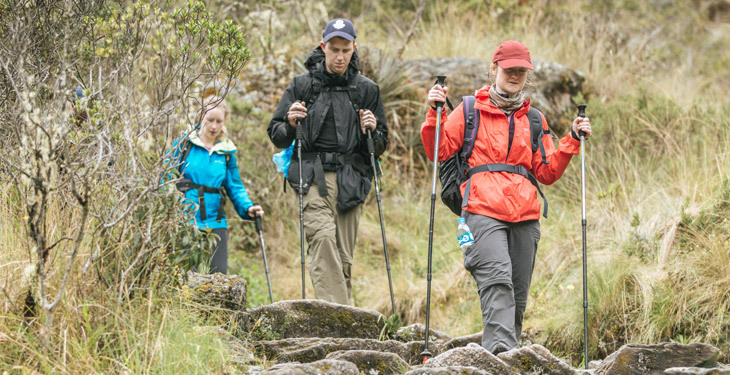 Test your limits with three full days of trekking on the Inca Trail. 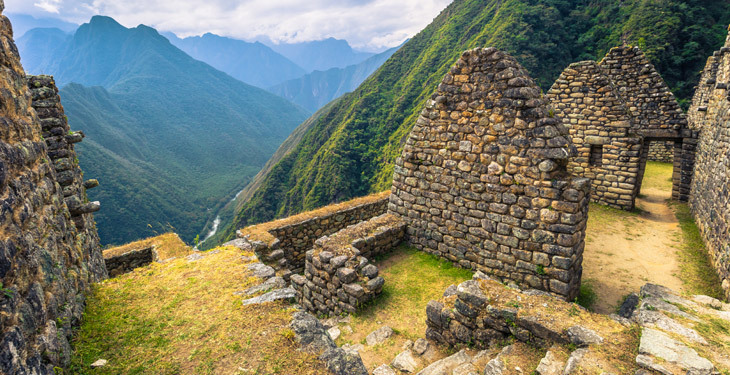 Ascend through lush jungle along rugged mountains to incredible archaeological sites such as Phuyupatamarca (‘Town in the Clouds’) and Winay Wayna. Hike by day and enjoy a comfortable camp setting complete with gourmet meals prepared by your professional chef by night. 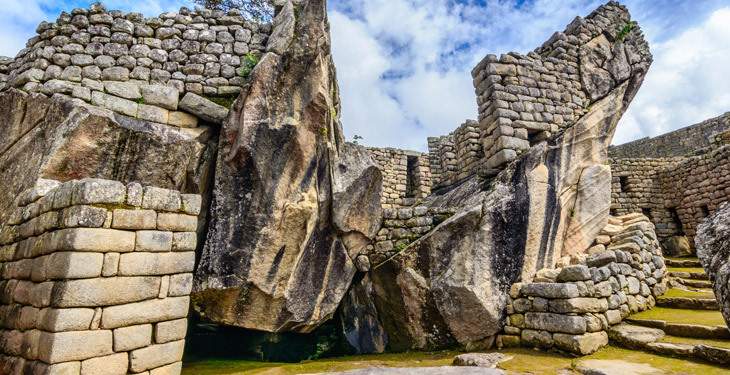 After 26 miles of trekking, reach Inti Punku (‘Sun Gate’) and be greeted with a jaw-dropping sunrise view of Machu Picchu, one of the Seven Natural Wonders of the World. The government restricts the number of Inca Trail permits to 500 per day (inclusive of porters). Demand for this once-in-a-lifetime adventure is high, and permits are often sold out (and non-transferable) as much as six months in advance. Permits sell out quickly, so the quicker you act, the better the chance your choice dates are available! Fly into Cusco, the capital of the Incas, where you’ll be greeted and privately transported to your hotel. Partake in a half-day city tour (additional cost) to explore the ancient capital of the Incan empire or explore the city on your own. The city tour of Cusco includes an archeological visit to the park of Saqsayhuaman and the religious sites of Cusco. Continue to acclimate and enjoy these spectacular Andean surroundings at your leisure. Choose your adventure today. You may wish to set out on an afternoon city tour to the cathedral, Qoricancha (Temple of the Sun), and four other fascinating archeological sites. Alternatively, you may set out on a full day tour of the Sacred Valley to the colorful market of Pisac as well as to Ollantaytambo, the oldest living town on the American continent. The tour will conclude with a visit to the traditional Chinchero market before returning to Cusco (please note these optional tours are not included in the trip cost). The evening is yours to dine out and enjoy town before the start of your hiking adventure. Rise early for your 4:00 am pickup (exact time will be confirmed prior), and travel by bus to the start of the trail at Piskacucho. You’ll make a stop in Ollantaytambo around 6:30 am for breakfast (not included). 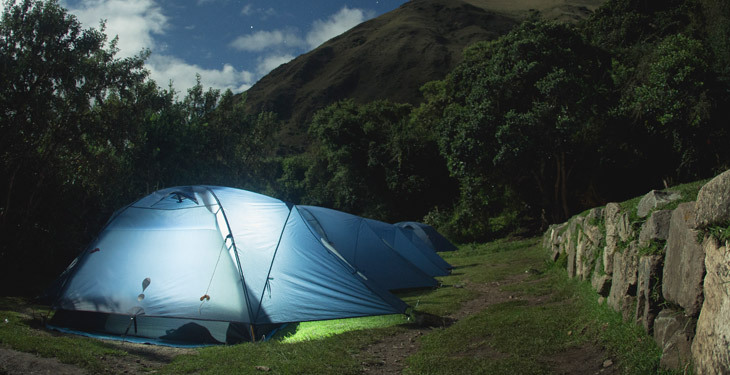 Begin the trail at 8,923 feet and hike 5-6 hours (7.5 miles) through incredible landscapes and Incan sites until you reach your campsite near Wayllabamba (9,842 ft). Wake around 5:30 am, enjoy breakfast, and begin a steep ascent toward Dead Woman’s Pass (13,779 feet and the highest pass on the trail). Begin the descent to your lunch stop at Pacaymayu (11,646 ft). Marvel at cloud forest and an astonishing variety of flora and fauna. Ascend to Runkuraqay Pass (nearly 13,000 ft) and arrive to your campsite by 5:00 pm to unwind and enjoy dinner after this full day of hiking (10 miles, 8-9 hours). Rise early, enjoy a 6:00 am breakfast, and start the day with a gentle ascent to Phuyupatamarca (‘Town in the Clouds’), where you’ll be rewarded with jaw-dropping views of the surrounding mountains and canyons. 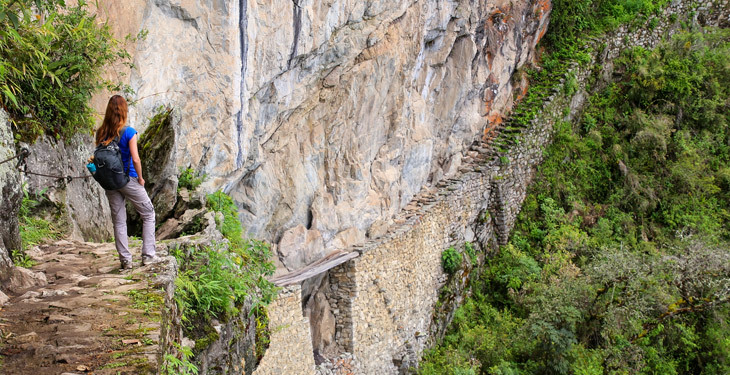 Hike the final pass on the trail (12,073 ft), walk on through cloud forest and the Inca site of Intipata, and reach your third and final campsite at Winay Wayna (8,792 ft) – a short hike from the most impressive Inca site on the trail. This day entails 5 hours and 6 miles of hiking. After a particularly early breakfast, depart from the campsite around 5:30 am in order to arrive to Inti Punku (‘Sun Gate’) before sunrise. From here, you’ll experience your first phenomenal view of Machu Picchu at dawn. Walk on to this iconic ancient city, where your guide will lead a 2-hour tour, and then enjoy some time to explore on your own. Walk or bus to Aguas Calientes for lunch, then take a train ride back to Cusco for the evening. Enjoy your final breakfast in Cusco and say goodbye! You’ll be transported to the airport as needed for your return flight home. I went with a group of 12 in October 2015. We were from all over the United States. This is an amazing experience! I cannot begin to express the value you receive. From the moment we were met at the airport in Cusco until the moment we were returned to the airport to depart--every moment of our trip was professionally organized and left us without any worries except to enjoy every second of this amazing trip. The trek is difficult, but so worth it. The accommodations, the food, the history, the friendships we developed--it was all more than we could ask for. Valencia takes pride in the services they provide and it shows. This price makes a trip of a lifetime obtainable. Please do not make travel arrangements until your trip is confirmed by Valencia Travel. Your date cannot be confirmed until you provide Valencia with your personal information. Voucher valid until 12/31/19. We’ve got you covered on a variety of clothing and gear you’ll be needing for your trip. Shop now to make sure you’re ready! Reservations are subject to availability. Once Valencia Travel has received your desired dates, they will apply for your permit as soon as possible. Valencia may require additional information in order to apply for a permit on your requested dates. Just because the operator has requested your information does not mean your dates are secured. You'll receive a verification email once your permit has been purchased. Please do not make travel arrangements or book airfare until you have received confirmation from Valencia Travel and confirmed your permits. To redeem your voucher, please reach out to Valencia Travel as instructed in your confirmation email. Reservations are subject to availability and Valencia Travel will do whatever they can to secure your desired dates. Please do not book travel until your trip is confirmed by Valencia Travel. Your date cannot be confirmed until you provide Valencia with your personal information. Voucher expires December 31, 2019. Please see below for departure dates that can be requested. Which departures can be requested? Departures are available almost daily every month except February. 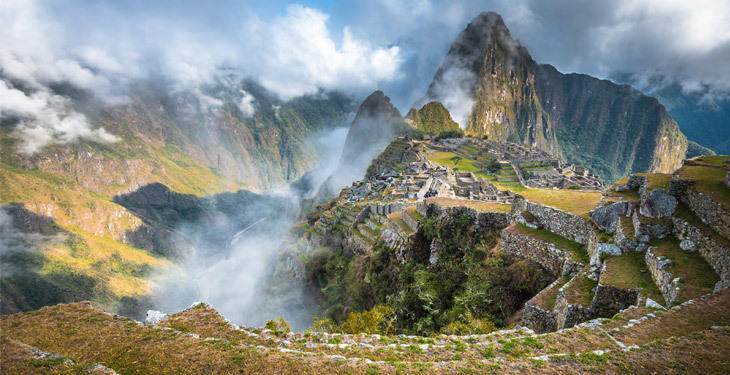 Below are a list of departure dates that may be available for the Inca Trail to Machu Picchu in 2019. Please do not make travel arrangements or book airfare until you have received confirmation from Valencia Travel and confirmed your permits. 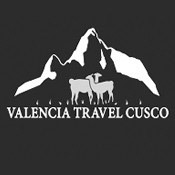 You'll be staying in a Cusco hotel for three nights and camping for three nights. Pricing is based on double occupancy accommodations in a shared room and 4-person tent. Hotel rooms include two separate twin size beds. Solo travelers or the odd numbered person in your group may opt to share with another person of the same gender (if available). If this option is not available, or if you would like to have your own room, you'll need to pay a single supplement of $400 directly to the operator. - Travel insurance - you are required to purchase travel insurance for the duration of your trip. Daily breakfast will be included (with the exception of breakfast on Day 3), along with all meals while on the Inca Trail (three breakfasts, three lunches, three dinners, and snacks throughout). Meals will be served buffet-style with an array of offerings. Snacks and hot drinks will also be provided. Vegetarian diets will happily be accommodated at no extra charge on the trek. Most of your costs are covered by the trip fees, but plan on bringing at least $350 for those meals not included as well as other personal expenses. Porters will carry all the cooking equipment and camping equipment (tents and foam mattress pad), but be prepared to carry your own sleeping bag, personal belongings (including clothing), and any extra rental items. What is the difference between the Inca Trail trek, Salkantay trek, and Lares trek? Travel insurance is required for this adventure. It allows you to seek reimbursement if you are forced to cancel your trip for unforeseeable reasons, or if you need to cover medical help, emergency transport, and/or theft or accidental damage while traveling. We recommend World Nomads as a provider.